This gallery and studio specializes in things Carlyn has acquired in the time-honored tradition of grabbing it and yelling, "MINE!" Jon saw this in New Orleans. 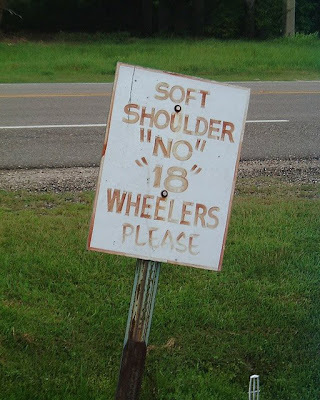 Apparently you can lie about the number of wheels you have, or just take it on there anyway. Whatever. 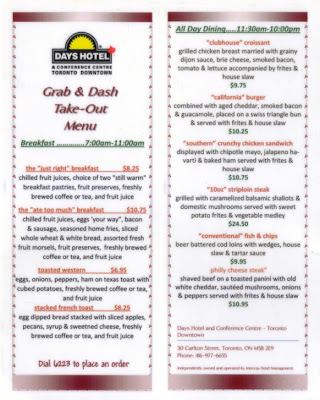 (click to embiggen) I can buy the quotes on teh "ate too much" breakfast, but the "10 oz" steak is way over the line. And I would like to know what is so unconventional about the fish and chips. Thanks, Jason. Danny spotted this in Peggy's Cove Nova Scotia. I guess they aren't postcards you might actually post. 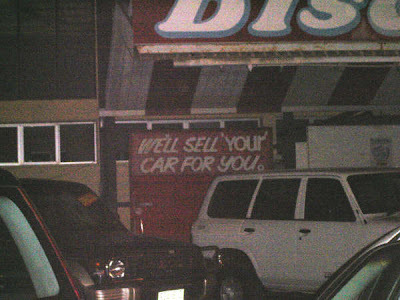 If you'd like to buy a stolen car, this place in Darwin, Australia seems to be the place for you. Thanks, Naomi. "We Care" about your "stuff", about the situation in the "Middle East", about the plight of the "homeless", and those little "ankle biter" "dogs". "Double Punch Day" is the secret Pizza Hut code for free drugs and fireworks. Bring your VIP card. I would like to believe this is an ironic reference to the fact that all americans who aren't native americans are descended from immigrants, but I doubt it. Maybe they mean the people who live in the anti-american states. You know, the blue ones. Thanks, Bianca. 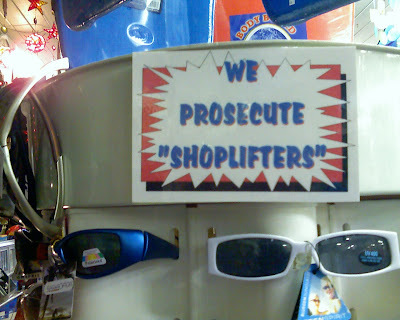 Evidently you do not have to literally lift the shop to be prosecuted. Thanks, Jeremy in Oregon. Pepper posted this on her blog ages ago when she sent it in (I'm more than 2 months behind, sorry folks) but I couldn't resist. Fake gas? fake polite? and none of it translated into spanish? awesome. Bryan saw this one in Boston. For heavens sake, hide your drugs! 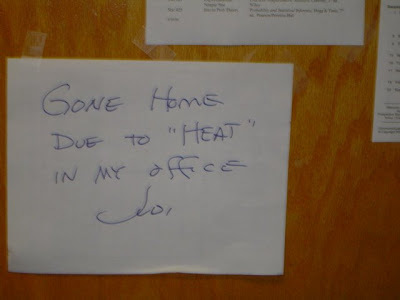 Maggie spotted this on the door of the secretary in her husband's academic department. There are a number of things Judi could be referencing here. Evidently the department affairs head straight toward Judi's office. I'd go home too. I like that it seems the ledge is saying it. Thanks, Jason. 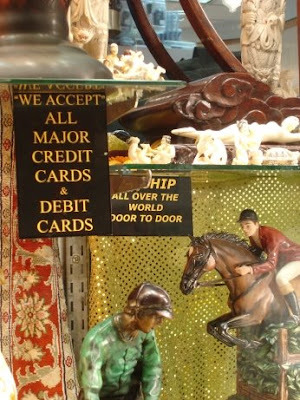 Well, we'll allow some credit cards, but we won't really accept them. Thanks, Katie. 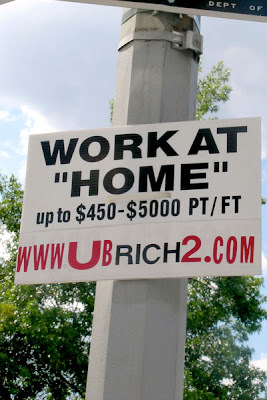 I don't know what this sign is insinuating about your potential workplace but I don't think it's terribly polite. Thanks, Alex. Tricia spotted this in Panama. I must say my favorite part is the location and content of the random breakfast food pictures. 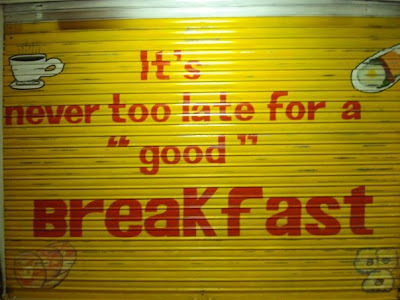 However, the "blog" has a history of loving breakfasts of questionable quality. 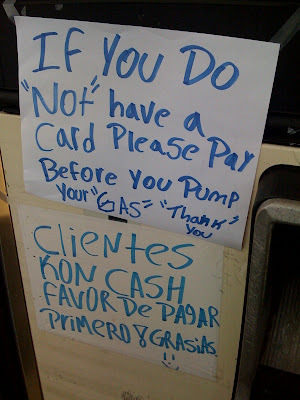 Skot saw this at a gas station. 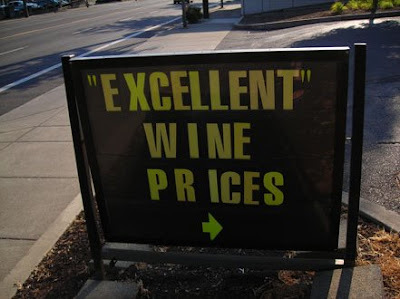 One uninformed person called their wine prices excellent, it seems. Lily sent me this. 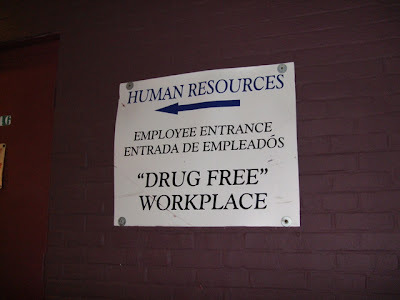 Something makes me believe the user took those quotation marks at sarcasm value and did NOT remove it before use. Paul spotted this one. 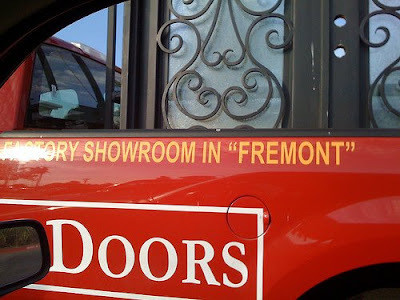 I guess they aren't really in Fremont, but they wish they were. 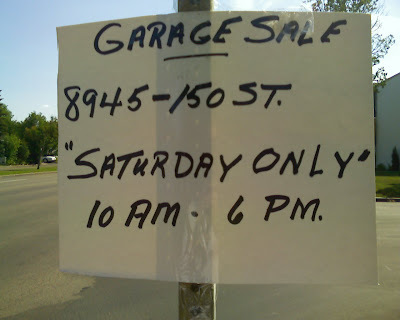 I had some neighbors growing up who seemed to have a garage sale every few weeks. Maybe these folks are similar. Thanks, Ryan. More garage sale silliness here. Thanks to NorthWest Air for this sign in Philadelphia. In this case "Plus" mean an extra $15. 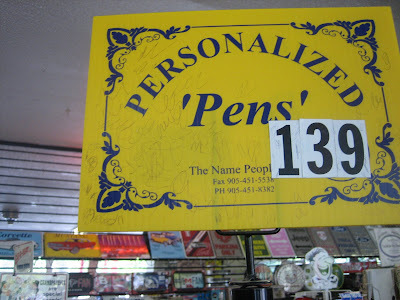 Having attempted to write with these kind of "pens" before, I'm not so sure this is inaccurate. Thanks, Abigail. 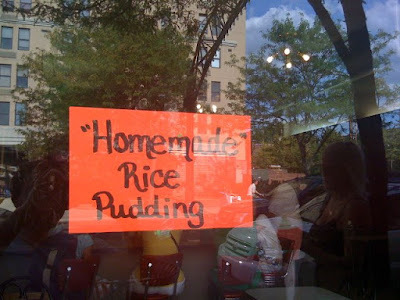 I always get kind of weirded out when restaurants claim to have homemade food. Like, did somebody bring it in from their house? Is that sanitary? 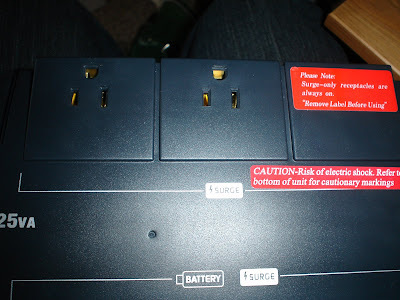 So I have to admit I believe this is actually necessary. At least I hope it is. Thanks, Cliff in Columbus, OH. I don't know what's in that box but it must be something somebody might potentially put their head on. Thanks, Seth. 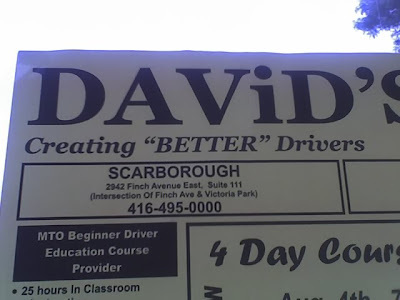 They aren't claiming to create GOOD drivers, just "better". Thanks Jillian in Scarborough ON. 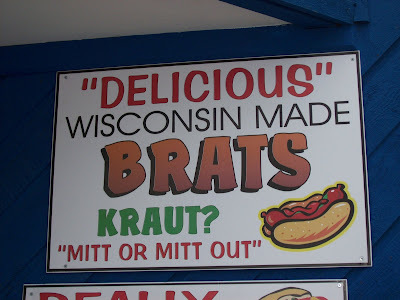 Heather spotted this at the Wisconsin state fair. While the latter quotations seem to be telling you some kind of code to use in ordering, I am skeptical of anything labeled "delicious". 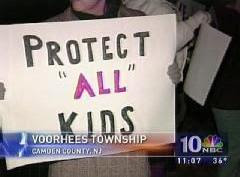 Patrick found this one online, and suggests they don't mean to include ugly kids. 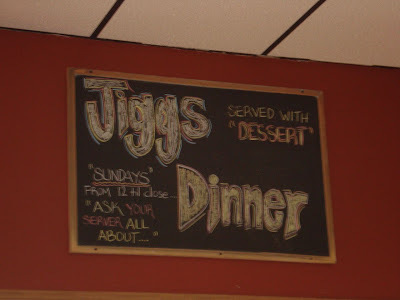 Craig spotted this on Newfoundland, and explains, "a Jiggs Dinner is a cooked dinner of salt meat (corned beef), split peas, potatoes, carrots, turnip, and cabbage." Evidently you may or may not want to ask your server about it on some day of the week. Scott saw this at U Minnesota Student Services Building. He reads the quotation marks as condescending, which I hadn't encountered before but kind of works here. 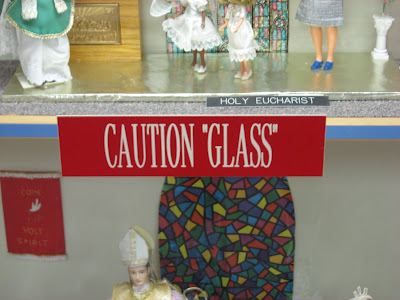 Fake glass is cause for caution. Also, weird dioramas of what goes on in church. 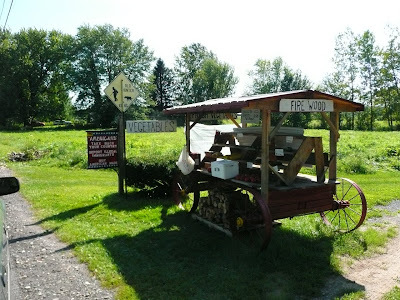 Thanks, Lindsey, who saw this at Cross in the Woods in Indian River, MI. 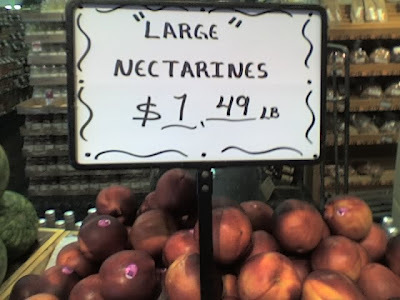 The distributor said these nectarines were large. I think we are all going to know what to think about his size estimations in the future. Thanks, Duff. 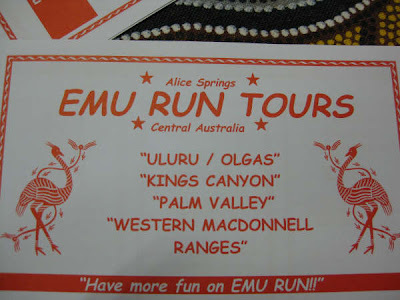 Tom saw this on the way to Alice Springs in Australia. They take you to all kinds of fake places, what could be more fun? 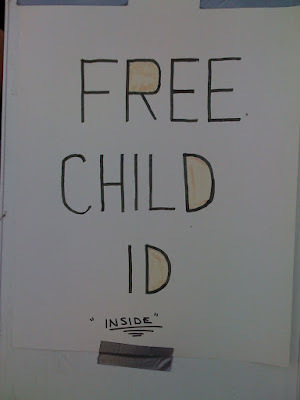 Go ahead, just send your kids over here, we'll take them "inside" and make them an ID.... Submitter Tiffany notes that, even worse, there are a bunch of old men from the masonic society next to it. Jeff saw this outside a Seattle restaurant. 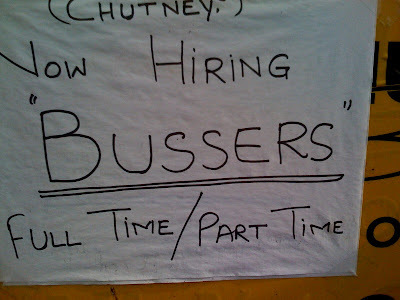 I guess they want to make it clear that bussers do not have anything to do with school busses? Amiela spotted this one in Atlanta, GA. Who knows what food you will actually get when you order there. 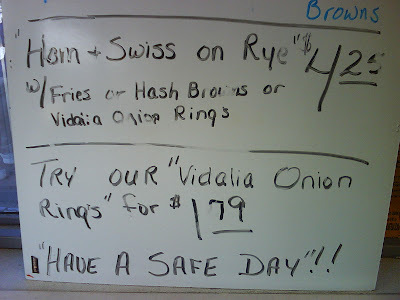 And apparently they are quoting somebody who said "Have a Safe Day" but THEY are adding the double exclamation marks. Eric blogged this one here. 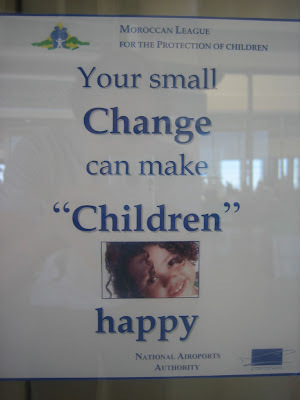 Well, your small change will make some childish adults very happy anyway. 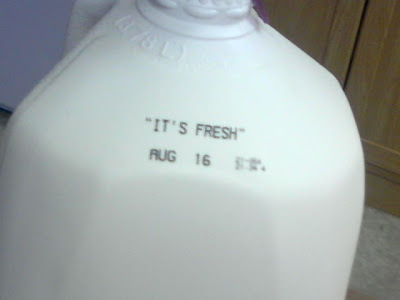 Either the milk jug is talking to me, or somebody is questioning how fresh it is. Thanks, Lindsey in Crossville TN. 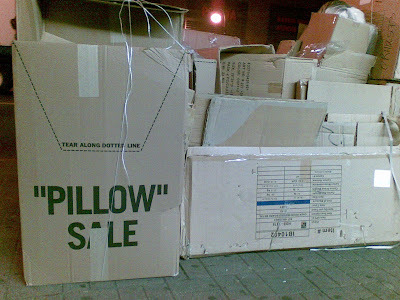 Gary writes, "This is part of the shared storage area in my downtown Atlanta loft building. As a matter of grammatic principle, I always leave this door open." It really would be just a little more awesome if there were also quotations on "that means you" but alas. 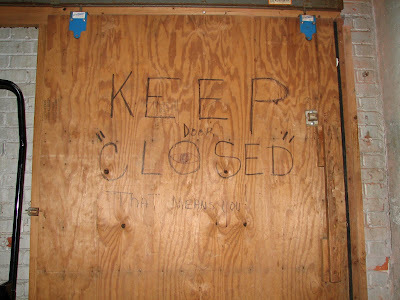 Either way, you can close the door or make it close to closed so your rowdy friends can get in. Whatever. ok, only some of the time. Klara and Kat spotted this one. I like the honesty of this one. 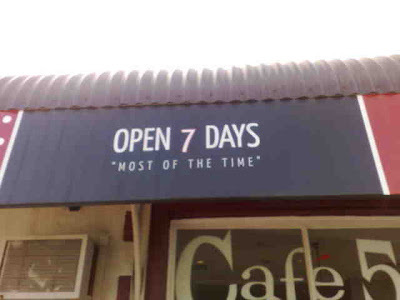 I like to believe the cafe randomly chooses a day to take off on a regular basis. 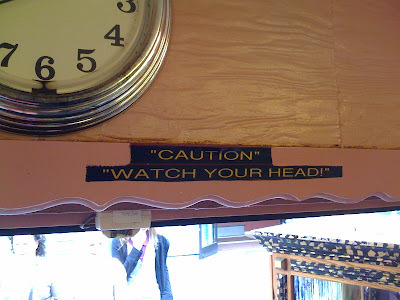 This sign is really charming. 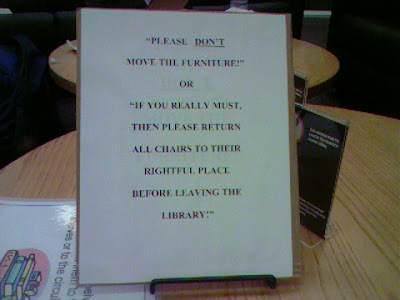 I think you're supposed to imagine a librarian of your choosing saying whichever statement she comes with. Thanks, Rachel and friend who spotted this in a Harvard library. 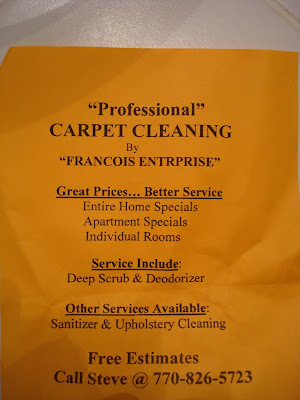 We've seen fake professionalism before, but I think this one is extra-special as the name of the company is clearly a cover-name for some other operation. Perhaps one where the professional expectations are... different. Thanks Matt and Mary. 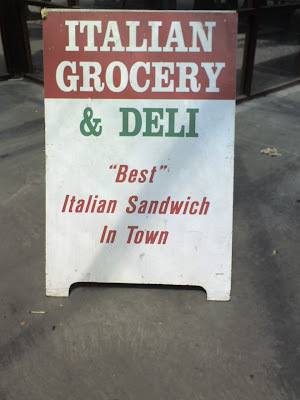 My favorite part of this sign is the random quotation marks between statements. Which both are so exciting they get three exclamation marks. Whoever "they" are. 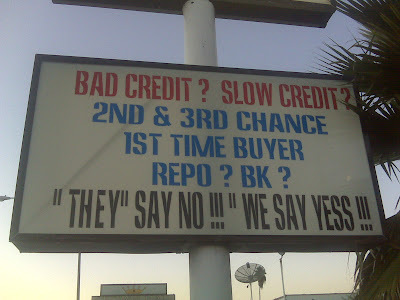 Thanks Brian, who spotted this in Fresno. Clint saw this at the Des Moines Airport. I wonder how little they're talking here, is this their pet name for annoying passengers? 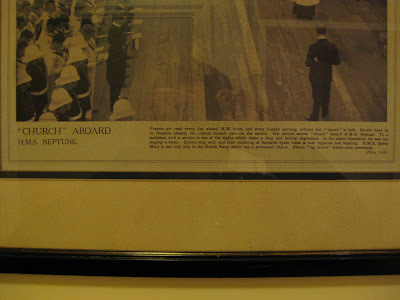 Particular parts of those passengers' anatomy? Oddly, I'm two months behind on posting submission, and just got to this one. 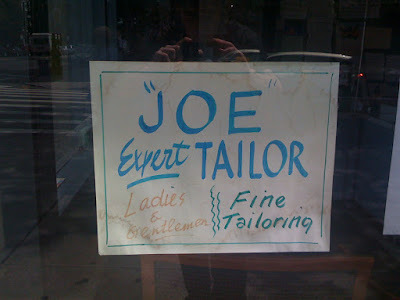 That's right, it's "Joe" the tailor. Thanks, Henry! 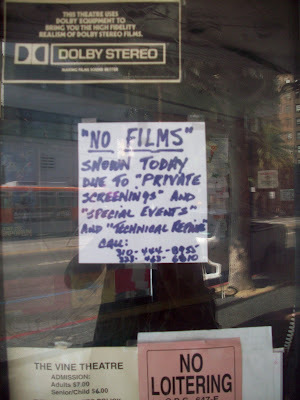 The sheer number of quotationed reasons there will be "no films" makes me think they all mean "lazy employees" "goofing off" and "inviting their friends". Thanks, Melissa. Seriously. 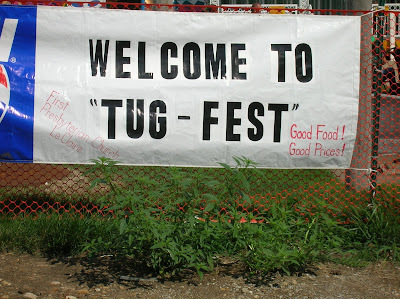 I'm not sure if "tug" refers to anything illicit in particular, but it sounds like it could. And if we're having a fest of it... Thanks, Brieanne. 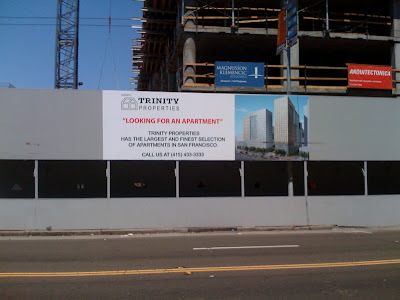 I like the way this makes it seem that Trinity Properties' slogan is "looking for an apartment". Maybe if you're looking too you can give them some advice? OR maybe they are LISTENING. Thanks, Russell. It's fourth best, ok? But we keep on trying. Thanks, Sean in Kansas City. I don't know what this guy's real name is but we sure hear a lot about him. Thanks, crd. or in the middle. yeah, that's better.